Tired of your hand? Why not make it a handa! 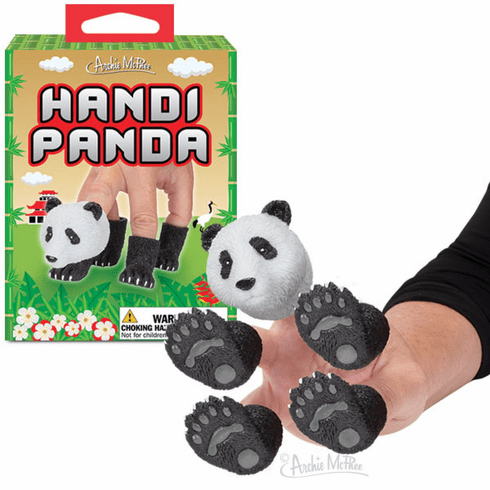 This set of five soft vinyl finger puppets (four 1-1/2" (3.8 cm) paws and a 2" (5.1 cm) head) turn even the roughest, most calloused hand into an adorable panda. Youêll be hungry for bamboo in no time. Illustrated box.